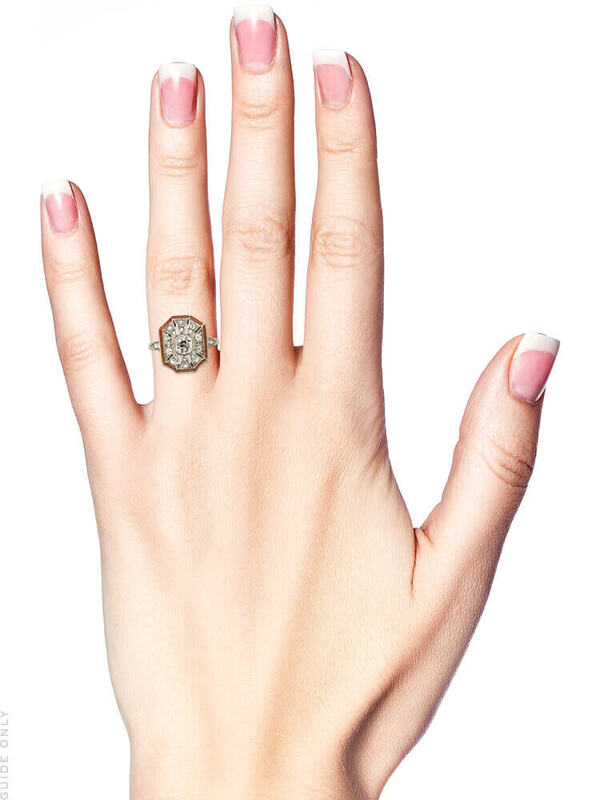 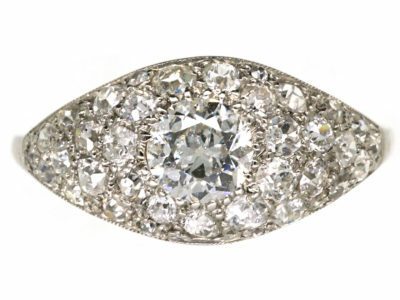 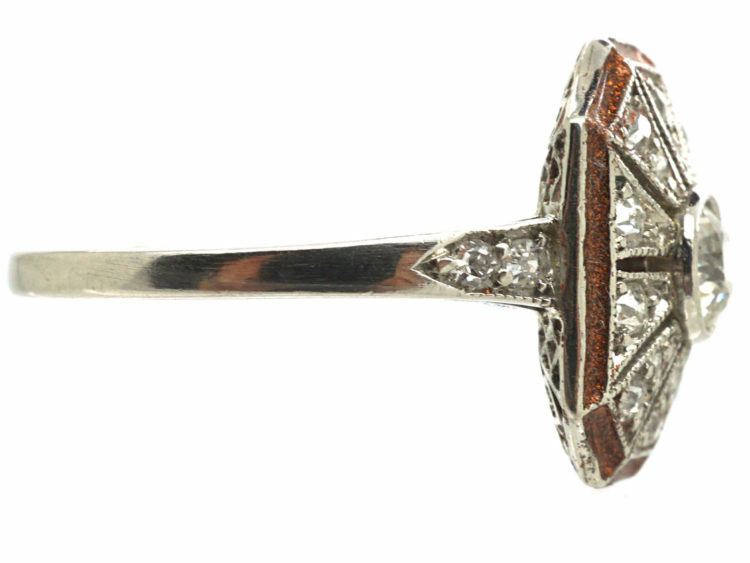 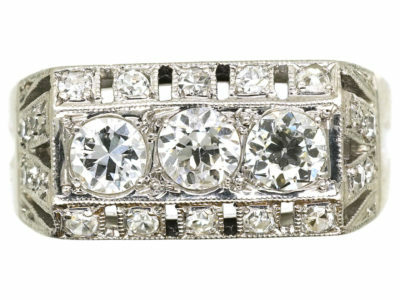 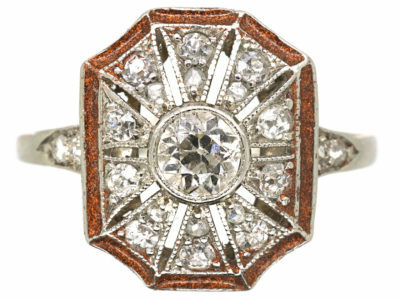 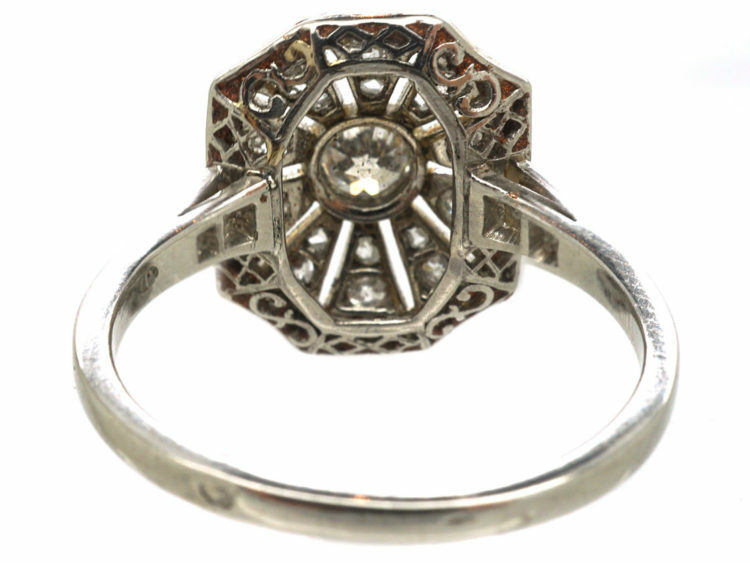 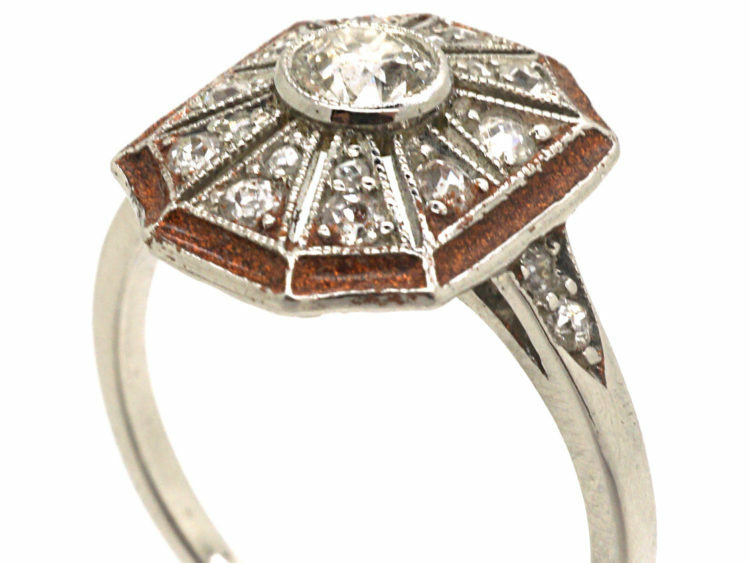 A stunning Art Deco ring made in France circa 1920. 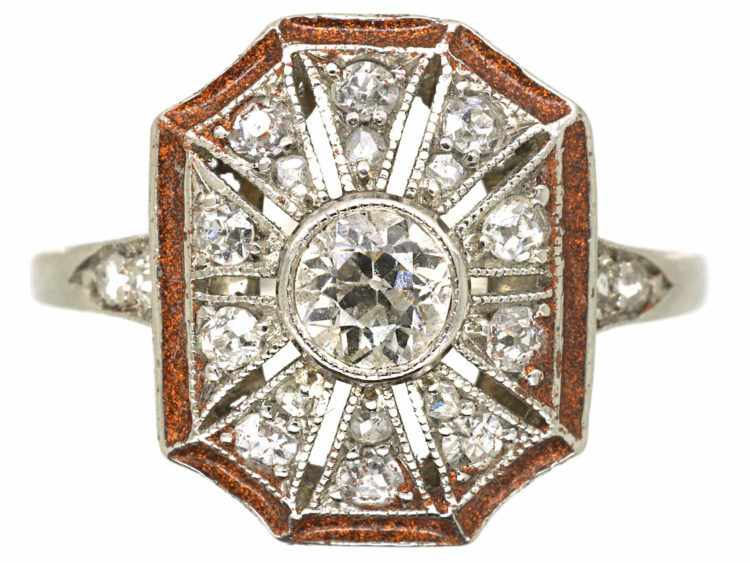 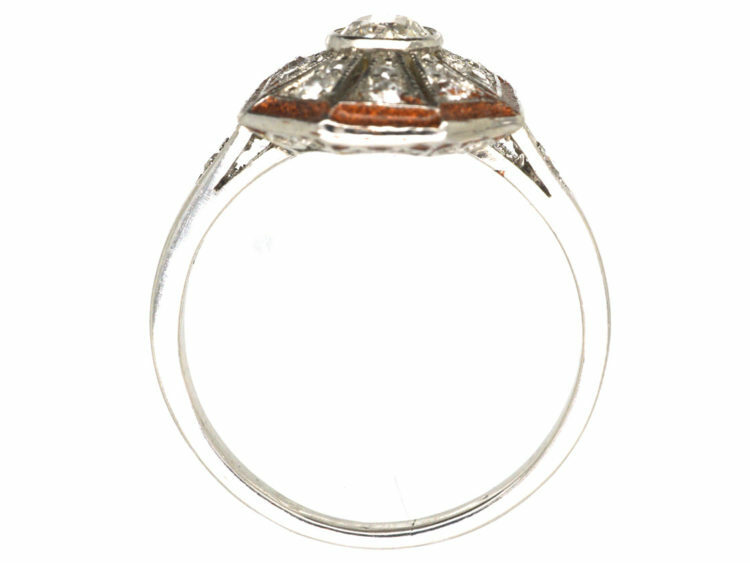 It is platinum and has been set with a twenty five point diamond in the centre with a pierced starburst design around it set with a mixture of rose cut and eight cut diamonds. 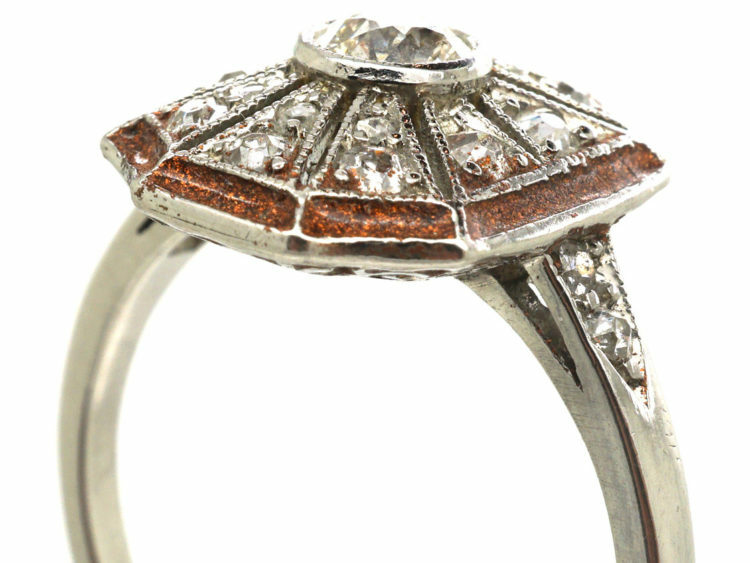 Around the edge is a band of copper coloured enamel, and there are small diamonds in the shoulders. 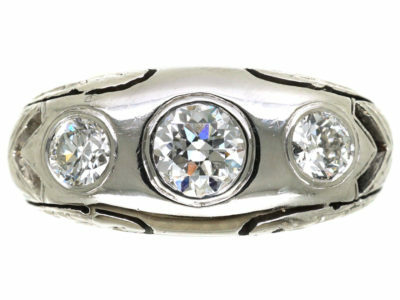 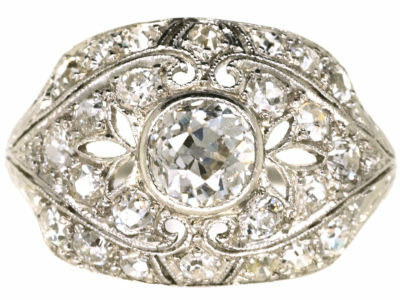 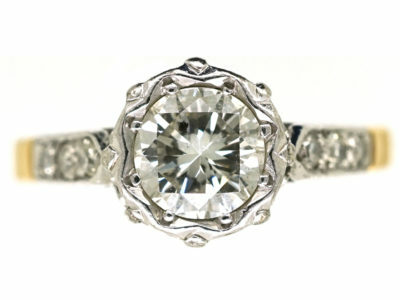 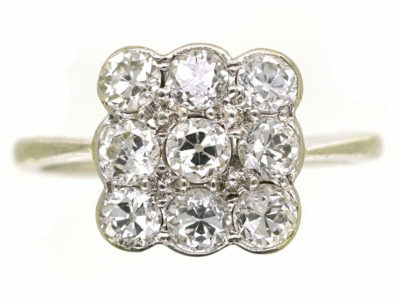 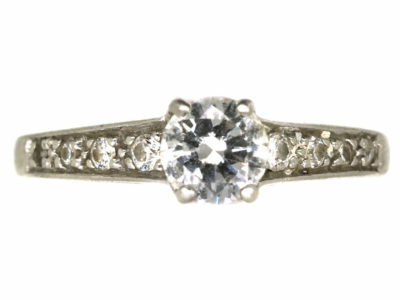 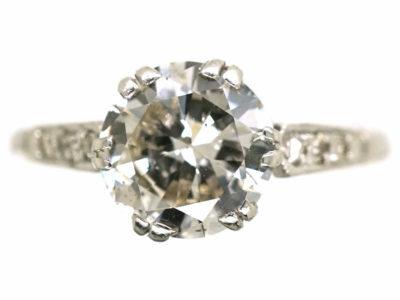 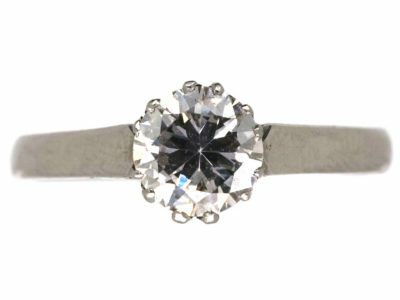 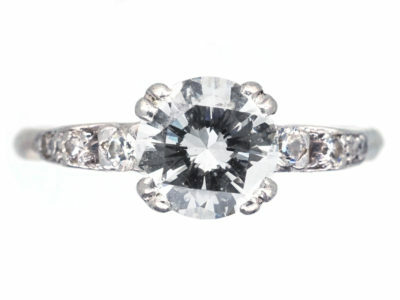 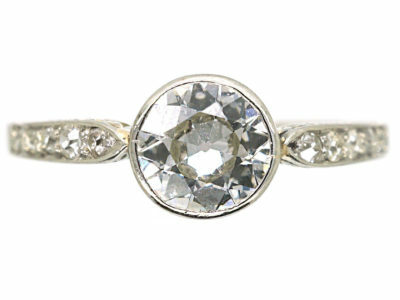 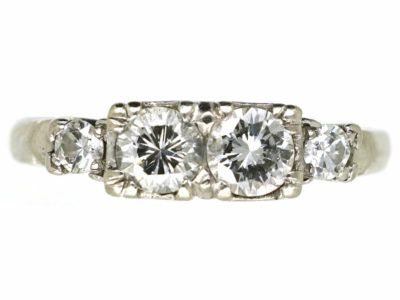 It is an original and beautiful ring and would make a lovely engagement ring.